The Pontifical and Royal University of Santo Tomas, The Catholic University of the Philippines (or simply UST or affectionately, "USTE. 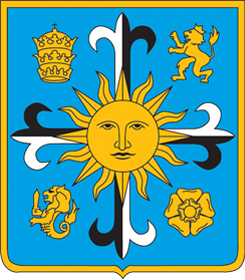 Filipino: Unibersidad ng Santo Tomas), is a private Roman Catholic university run by the Order of Preachers in Manila. Founded on April 28, 1611 by archbishop Miguel de Benavides, it has the oldest extant university charter in the Philippines and in Asia.and is one of the world's largest Catholic universitiesin terms of enrollment found in one campus. UST is also the largest university in the city of Manila. Having the distinction as the only Pontifical University in Asia, UST is the only university, Catholic or not, to have been visited by two popes three times: once by Pope Paul VI on Nov. 28, 1970, and twice by Pope John Paul II on Feb. 18, 1981 and January 13, 1995. The University is composed of several autonomous faculties, colleges, schools and institutes, each conferring undergraduate, graduate and postgraduate degrees, and the basic education units. Several degrees have been accredited by the Commission on Higher Education as Centers of Excellence and Centers of Development. The Patron of the University is St. Thomas Aquinas, while St. Catherine of Alexandria is the Patroness. Prominent Thomasians include saints, Philippine presidents, heroes, artists, scientists, professionals and religious figures, who have figured well in the history of the Philippines. The athletic teams are the Growling Tigers, members of the University Athletic Association of the Philippines and are consistent winners of the Overall Championship. The foundation of the University is ascribed to the Most Reverend Miguel de Benavides , O.P., the third Archbishop of Manila. He came to the Philippines with the first Dominican mission in 1587. He went on to become bishop of Nueva Segovia, and was promoted archbishop of Manila in 1601. Upon Benavides’ death in July 1605, he bequeathed his library and personal property worth 1,500 pesos to be used as the seed fund for the establishment of an institution of higher learning. Fr. Bernardo de Santa Catalina carried out Benavides’ wishes and was able to secure a building near the Dominican church and convent in Intramuros for the College. In 1609, permission to open the College was requested from King Philip III of Spain, which only reached Manila in 1611. On April 28, 1611, notary Juan Illian witnessed the signing of the act of foundation by Frs. Baltazar Fort, OP, Bernardo Navarro, OP, and Francisco Minayo, OP. Fr. Fort, appointed that year to the post of Father Provincial, was its first Rector. The Colegio de Nuestra Señora del Santísimo Rosario was established on April 28, 1611, from the library of the late Fray Miguel de Benavídes, O.P., then Archbishop of Manila. Later renamed Colegio de Santo Tomas, it was elevated by Pope Innocent X to a university on November 20, 1645 in his brief, In Supreminenti. This made the university the second royal and pontifical institution in the Philippines, after the Jesuit's Universidad de San Ignacio which was founded in 1590 but closed in the 1768 following the expulsion of the Society of Jesus from the Philippines. Its complete name is the The Royal and Pontifical University of Santo Tomas, The Catholic University of the Philippines (Spanish: A La Real y Pontificia Universidad de Santo Tomas de Aquino Universidad Catolica de Filipinas). It was given the title "Royal" by King Charles III of Spain on 1785; "Pontifical" by Pope Leo XIII on 1902 in his constitution, Quae Mari Sinico, and the appellative "The Catholic University of the Philippines" by Pope Pius XII on 1947. The university was located within the walled city of Intramuros in Manila. It was started by the Spanish Archbishop of Manila in the early 17th century as a seminary for aspiring young priests, taking its name and inspiration from Saint Thomas Aquinas, a Dominican theologian. The first courses offered by the Colegio de Santo Tomas were canon law, theology, philosophy, logic, grammar, the arts, and civil law. In 1871, it began offering degrees in Medicine and Pharmacy, the first in colonized Asia. At the beginning of the 20th century, with the growing student population, the Dominicans bought land at the Sulucan Hills in Sampaloc, Manila and built its 215,000 square meter campus there in 1927 with the inauguration of its Main Building. Also that year, it began accepting female enrollees. In the last four decades, the university grew into a full-fledged institution of higher learning, conferring degrees in law, medicine and various academic letters. The university has graduated Philippine national heroes, presidents, and even saints. During World War II, the Japanese converted the campus into a concentration camp for civilians, foreigners and POWs. Some of the most brutal war crimes against American soldiers (Filipino soldiers were granted amnesty) and civilians living abroad occurred in Santo Tomas. Since its establishment in 1611, the University's academic life was interrupted only twice: from 1898 to 1899, during the Philippine Revolution against Spain, and from 1942 to 1945, during the Japanese occupation of the country. In its long history, the university has been under the leadership of more than 90 Rectors. UST's first Filipino rector was Fr. Leonardo Legaspi, O.P. who served UST from 1971-1977. Its current rector is Fr. Rolando V. de la Rosa, O.P. In recognition of its achievements, a number of important dignitaries have officially visited the university, among them, during the last three decades: His Holiness Pope Paul VI on November 28, 1970; His Majesty King Juan Carlos I of Spain in 1974 and 1995; Mother Teresa of Calcutta in January 1977 and again in November 1984; Pope John Paul II on February 18, 1981 and January 13, 1995 (as part of the World Youth Day 1995). Today UST has a total enrollment of approximately 43,000 students, 37,000 undergraduates and 6,000 students in Medicine, Law and the Graduate School. The University admits about 11,500 new students out of 55,000 applicants per year, roughly 20%.